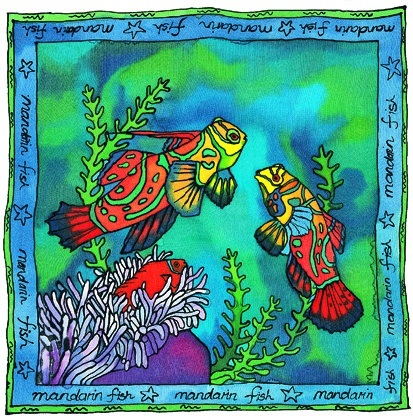 The vibrant image Oof mandarin fish is taken from a silk painting by artist Penny Silverthorne. The card is blank inside for your own message and can be used for many occasions. The envelope is included.